Carry on camping, with three small estate cars. Which is the best out of the Peugeot 308 SW, Skoda Octavia Estate, and Volkswagen Golf Estate? People might be all over SUVs right now, but there’s definitely still a place for the humble estate. 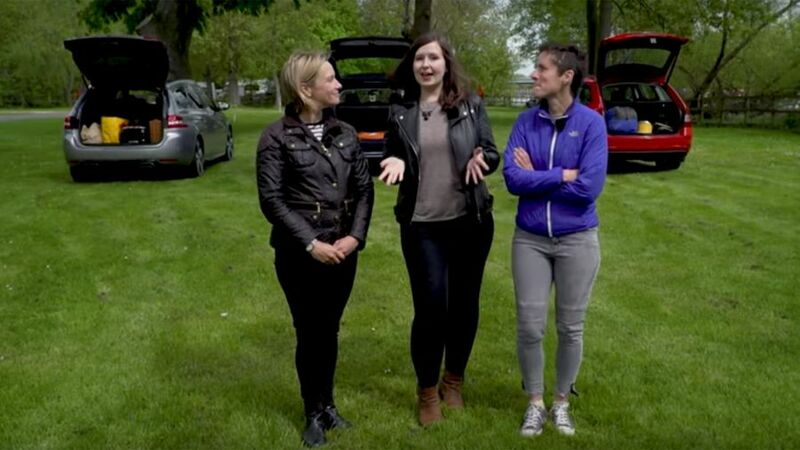 Racing driver Vicki Butler-Henderson, Millennial motoring journo Rachael Hogg, and mum Erin Baker (REV!) are testing three of the UK's most popular, based on how people search for them at Auto Trader. The ladies also give camping a go, with rather mixed success. REV takes a look at three luxury SUVs. It’s the turn of the high quality and tech-filled Audi Q7, the super safe Volvo XC90, and the proper off-roader, the Land Rover Discovery.